It’s an uncomfortable subject in many circles, but the undeniable fact is that lying is a powerful tool. Unvarnished realities are often more of a hindrance than a help in many social situations, and some even extend this economy of truth to their official dealings such as filling out a life insurance application. In case you were considering a slavish devotion to the facts when filling out your application for life insurance, consider the following benefits of deception. A person who has never experienced a health issue of any kind while also avoiding alcohol, cigarettes and bad life decisions like the plague will surely qualify for the best policy rates. If this does not describe you, it doesn’t have to stop you from getting a great deal on your premium. Tell your future provider all about your stellar health record when filling your application out, and be sure to omit any information that would indicate that you are in anything less than the ideal condition for a person of your age. While they should be as positive as possible, your answers should at least vaguely correspond to your actual level of health, as many insurers will require that you take a physical before offering you a policy. Just as a healthy person is eligible for the most affordable rates because the insurance company feels that it is a safe bet that they will not have to pay out before they have collected at least most of the value of the policy in premiums, healthy persons are also frequently offered policies with higher face values. Lying on your life insurance application will guarantee that your policy is worth as much as possible. You can learn more about getting your own policy here. Insurance companies base the entirety of their business on knowing their customers, but that’s irrelevant to a brilliant human being such as yourself. Their comprehensive evaluation methods ranging from lifestyle evaluation to workplace statistics to social media monitoring are no match for your cunning and wit. You can deftly hide any lifestyle choices you make from an insurance provider as long as no pictures of you surface online performing an activity that would surely raise your premium. So your favorite food group is “junk.” So you like a smoke every now and soon after. So you moonlight as a costumed crusader fighting petty crime in the streets. So what? Why should anything you choose to do affect how much your life insurance costs? It’s a free country, right? As far as your insurance company needs to know, your idea of risky behavior is sipping your freshly brewed tea without blowing on it first. If you want to be guaranteed approval for your policy, be sure to paint as tame and stable a picture of your life as possible. Of course, the drawback to lying on your insurance form is that you could be caught. After you are approved for a policy, the provider has a contestability period, most commonly 2 years, during which it can terminate the policy if it discovers any irregularities. That’s up to 24 months of payments potentially down the drain, and that’s not even the worst that could happen. If you were to somehow become eligible for a payout and the insurance company discovers that you intentionally deceived them in a material fashion, it can act to block some or all of your benefit from being paid. The risk is certainly there, but whether the reward of a few bucks saved is worth it is highly debatable. Lying on your life insurance application can be an effective way to get the best coverage at the best price. 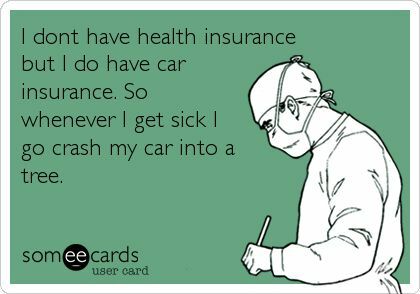 It’s also a really good way to potentially lose out on your policy after you have paid for it. Overall, there are many reasons to lie on a life insurance application, just not many good ones.